The UK-based Sky News channel has followed the BBC in refusing to broadcast a pro-Gaza fundraising appeal. The international broadcaster said it did not want to be seen as taking sides in the Israel-Hamas dispute. The BBC has received over 15,000 complaints for not showing the appeal. The Disasters Emergency Committee (DEC), an umbrella group comprising 13 UK charities, submitted a two-minute fundraising appeal which was shown on ITV1. Before the ad was shown, the DEC had raised £600,000 through its website. The DEC says after an 18 month blockade and three weeks of heavy shelling the humanitarian crisis in Gaza is “completely overwhelming”. Meanwhile, Hamas has pledged $US52m of its own funds to help the victims of Israel's offensive in the Gaza Strip. The three-week long attack left about 1,300 people dead, more than half civilians, and caused extensive damage to the region’s infrastructure. Taher al-Nunu, a spokesman for Gaza's de facto government, said the emergency relief will pay out to victims $US 5,200 for each destroyed house, $US1,300 for a death in the family and $US650 for an injury. It’s estimated more than 4,000 houses were destroyed and about 20,000 damaged during the conflict launched on December 27. At least 412 Children have been killed and 1,855 injured. Israel lost 10 soldiers while three civilians were also killed by Hamas rockets. In Brussels, a pro-Gaza march took place near the venue of an EU foreign minister meeting. Protesters called on the EU not only to send aid to Gaza, but also to use political pressure to bring peace there. The protest was attended by some members of the European Parliament. An international conference on rebuilding the Gaza Strip will be held in Cairo at the end of February, an Egyptian Foreign Ministry official said on Monday. 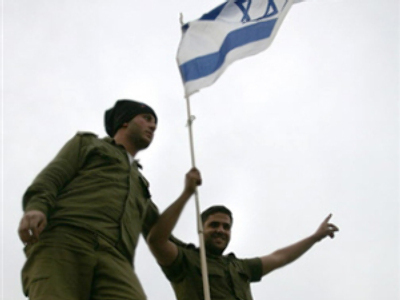 Israel declared a unilateral ceasefire at 2 a.m. local time on January 18, saying it had achieved all its objectives. Several hours later a ceasefire was declared by Hamas.